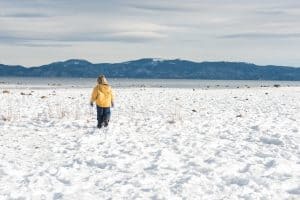 Lake Tahoe is a fun year-round destination, but it is truly special in the winter months, when it transforms into a picture-perfect winter wonderland. Granlibakken Tahoe offers the perfect home-base for exploring North Lake Tahoe this winter. Granlibakken’s wide variety of accommodation options, from standard bedrooms to three-bedroom townhouses, can comfortably accommodate families of any size. Many of the rooms are equipped with full kitchens and cozy sitting areas with fireplaces, offering a great space for families to prepare for a day of Tahoe adventure or kick back and relax after a day in the snow. At Granlibakken, we understand the importance of fueling up for a day of Lake Tahoe winter fun. Hot buffet breakfast is included in all rates, and with a variety of options from fresh fruits and pastries to eggs and bacon, it is a great value and offers something for even the pickiest eaters. Granlibakken’s many resort amenities are included in all rates as well. Enjoy the convenience of free parking and resort-wide complimentary wifi. The outdoor heated pool, hot tub, and sauna are also open year-round and offer a great après-ski activity. There is nothing more magical than unwinding and relaxing with a cold drink in the hot tub after a day of hitting the slopes. Granlibakken’s property is adjacent to miles of hiking, snowshoeing, and cross-country skiing trails to explore and enjoy the serenity of the Tahoe National Forest. Granlibakken Tahoe is one of the oldest continually operating ski resorts in California. Host to the 1932 Olympic Ski Jumping trials, you can follow the course of the athletes of yesteryear on Granlibakken’s 300 vertical foot slope, perfect for beginners to intermediates and young families. Granlibakken’s sled hill onsite is also a fun way to get on the slopes, and a ski pass includes sledding as well. Sledding and skiing are both half-priced for lodging guests, making it an affordable way to get on the slopes this winter. Granlibakken Tahoe’s full service rental shop will also ensure that your family is ready for a snow day, with snowboard, alpine ski, cross-country ski and snowshoe rentals. For those who may not want to ski or sled, the Treetop Adventure Park is located onsite and open year-round. Spend your day on the aerial trekking course, ziplining through the trees while completing treetop challenges. Or relax in the onsite Day Spa, located slopeside and offering a variety of services, from facials to deep-tissue massage and couple’s massage. You won’t go hungry at Granlibakken. The Ski Hut Snack Bar is located in the warming hut at the ski hill. Enjoy a slopeside snack or drink on the deck, from which the entire ski and sled hill can be viewed. Serving up authentic Mexican food as well as American favorites, it is the perfect spot to stop for lunch or to take a quick s’more break. The Gran Spot Coffee Cart at Granlibakken serves up specialty coffee drinks, light lunch and snack items, and beer, wine, and specialty cocktails in the main lodge. Open 5-9PM Fridays and Saturdays throughout the ski season and daily during holiday periods, The Cedar House Pub at Granlibakken offers cozy fireside dining with kid-friendly options as well as daily specials. 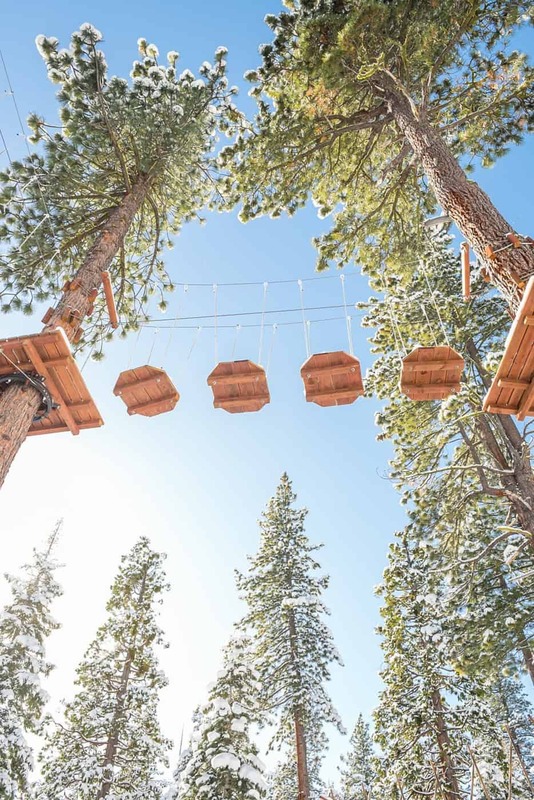 Nestled in a 74 acre wooded valley just outside of Tahoe City, Granlibakken is central to many of Tahoe’s premier attractions and activities. Skiers and snowboarders will enjoy the terrain at Squaw/Alpine and Homewood mountains, all located within a 20 minute drive of Granlibakken. 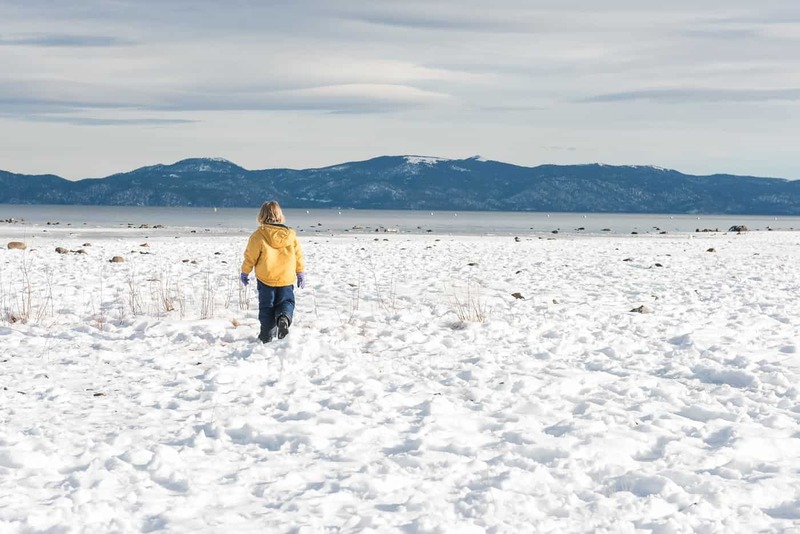 Tahoe City offers a variety of dining and entertainment options, from family-friendly and fine dining restaurants to a movie theater and a variety of year-round street festivals and fairs. There are a variety of other activities to enjoy, from snowmobile tours to sleigh rides and guided snowshoe treks all located just a short drive away. 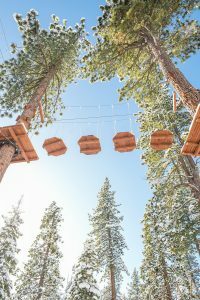 Make North Lake Tahoe a destination for your next family getaway, and Granlibakken will take care of the details to make your family vacation memorable, fun, and unique.